At the invitation of President of the Republic of Turkey, Recep Tayyip Erdogan, Prime Minister Imran Khan, paid an official visit to Republic of Turkey on 3-4 January 2019. PM Imran Khan was accompanied by a high-level delegation on the occasion. President Erdogan and PM Khan held a tete-a-tete meeting followed by delegation level talks on 4 January 2019. 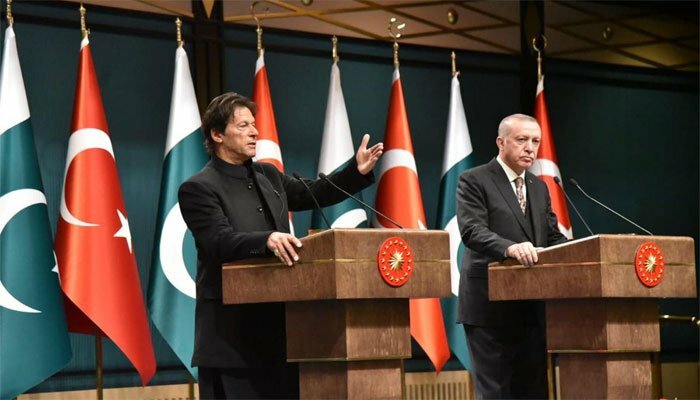 Reiterated their determination to continue taking steps in all areas of mutual interest for mutual peace and prosperity, especially by transforming the historic Turkey-Pakistan relationship into an increasingly stronger trade, investment and economic relationship for the benefit of the peoples of the two countries; and agreed to convene the 6th Session of the Turkey-Pakistan High Level Strategic Cooperation Council in Pakistan at mutually convenient dates for further discussion on these areas.